Ilija Stefanović was born in 1962. He graduated from the Faculty of Electrical Engineering, University of Belgrade (Department of Technical Physics), in 1988. He received his MSc degree in 1993, and a PhD degree in 1999, at the Faculty of Electrical Engineering in Belgrade. During his career, he was a team member and project leader in 15 research projects in fundamental and applied science dealing with gas plasma physics and electric discharge in gases. He was elected Principal Research Fellow in 2010. 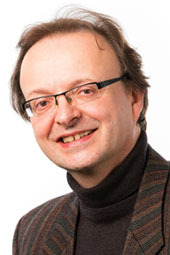 As part of the German Exzellenziniative in 2009, he was involved in the founding of the Plasmas with Complex Interactions Department at Ruhr University, Bochum. Between 2009 and 2013, he was one of the leading researchers of the Department and a leader of a sub-project under Research Unit 1123 Physics of Microplasma (FOR 1123), the largest research unit dealing with microplasma in Germany. Between 2008 and 2013, he was a co-manager of four research projects funded by the German Science Foundation, the Humboldt Foundation and the German Academic Exchange Service, including the projects of international exchange between Germany and Serbia, France and Ukraine. He is currently involved in the project OI 171037 "Fundamental processes and applications of particle transport in non-equilibrium plasmas, traps and nanostructures" (Project Leader: Z. Lj. Petrović) and “Theory and Diagnostics of a Novel Miniature Microwave ICP Plasma Jet” (Project Leaders: Prof. Brinkman and Prof. Avaković, RUB, Bochum). Ilija Stefanović is the author or co-author of more than 50 papers published in international journals, more than 100 conferences papers and fifteen invited lectures on plasma-polymerized carbon nanotubes; microdscharge, plasma functionalization of nanostructures, discharge with dielectric barrier, etc. During his career, he received fellowships from the Heinrich Hertz Foundation, the government of North Rhine-Westphalia (Germany), the Hunan Government (China), the French government (Campus France), the Institute of Physics in Belgrade and the Niš Electronic Industry. He is a reviewer in a number of renowned international journals in the field of gas plasma physics and the advisor or co-advisor to several PhD, MSc and BSc students at the universities in Belgrade and Bochum. He is a member of the German Physical Society.